Unidentified gunmen have killed at least seven soldiers in an attack in northern Turkey, state-run news agency Anatolian reported, quoting provincial officials. 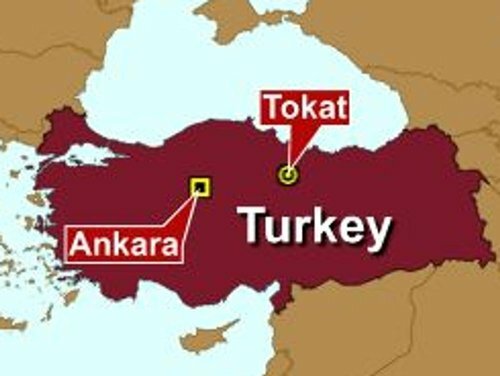 The gunmen targeted a vehicle carrying the soldiers in Tokat province's Resadiye district, television channels reported. Other soldiers were reported to have been wounded. It was the worst attack since Kurdish militants killed 10 soldiers with a remote-controlled bomb in southeast Turkey in April. It came as Prime Minister Tayyip Erdogan prepared to meet US President Barack Obama in Washington for talks that were likely to include government moves to improve Kurdish rights. A court is expected to hear a case in the coming days on whether the largest pro-Kurdish political party, the Democratic Society Party, should be shut down. In the past, the banned Kurdistan Workers Party (PKK) has carried out attacks on military targets. The PKK mostly operates in the primarily Kurdish southeast, where one man was killed during clashes between police and protestors yesterday. Attacks in the north are not unheard of, but are rare.